This tool will check your location for any Products not currently enabled at the chosen integration, and enable them. For instance, if I have just connected an online e-commerce integration to the same location where I have my traditional point of sale, this option will connect all the products at that location to my e-commerce account. 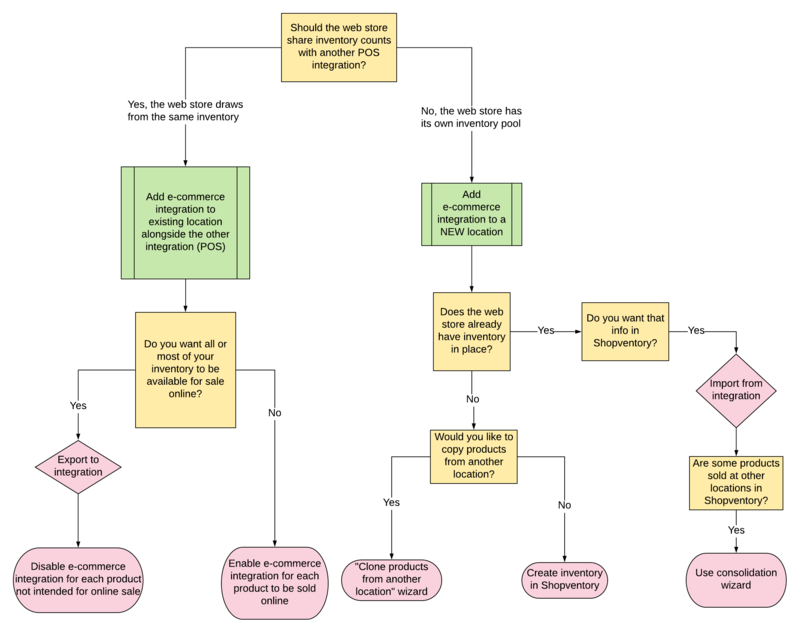 This means whether I sell a product in my store via the point of sale OR on my website via the e-commerce integration, the sale will deduct available quantities from both integrations. This is because they are linked to the same pool of inventory (location). Shopventory will export the products, variants, categories, and tax rates for that integration at the location where the integration is connected. Just a warning this could create duplicates in the integration. Shopventory is pushing out all the data in our system, so if there is already info there which has not been linked to Shopventory, Shopventory will add our data to what's there. A new integration (such as an e-commerce store) has been added to this location and you want to export the inventory information already in Shopventory. 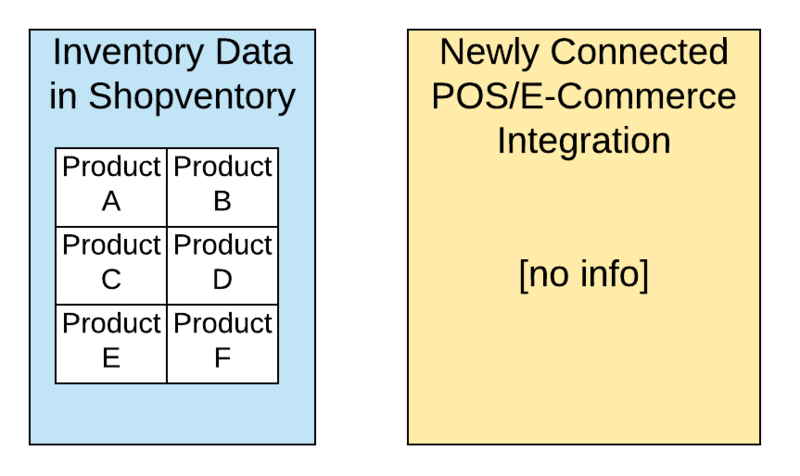 If inventory has already been created in Shopventory and then an empty integration was connected. After cloning products to a new location. Just make sure your POS account is empty first! Changes to inventory have been made in Shopventory and need to be exported. Learn more on that process. 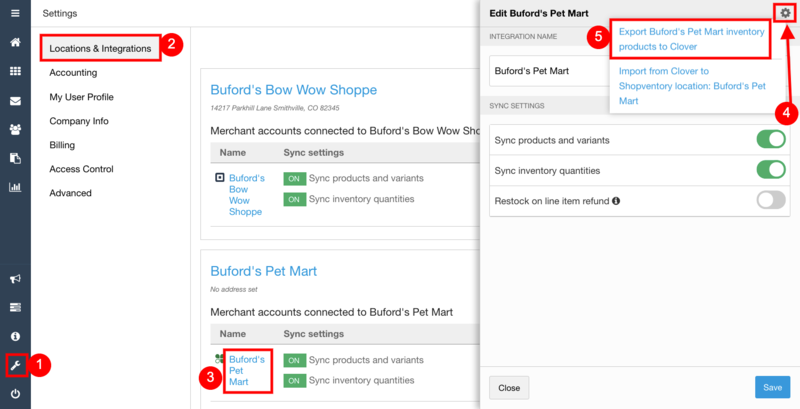 An integration was connected to Shopventory and inventory information was imported. 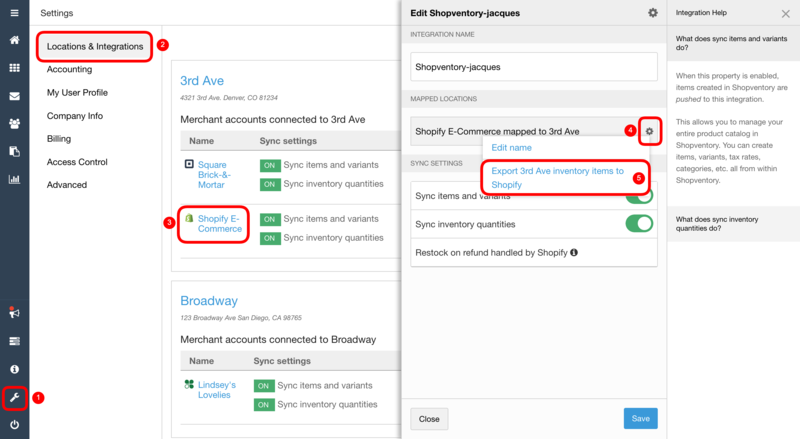 Learn more on how Shopventory syncs. 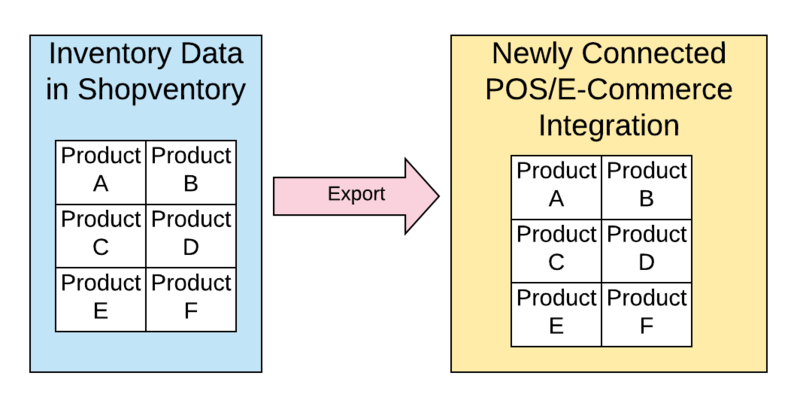 This will not import inventory information from your point of sale system. Please consult this entry in our Help Section for help with importing inventory information.